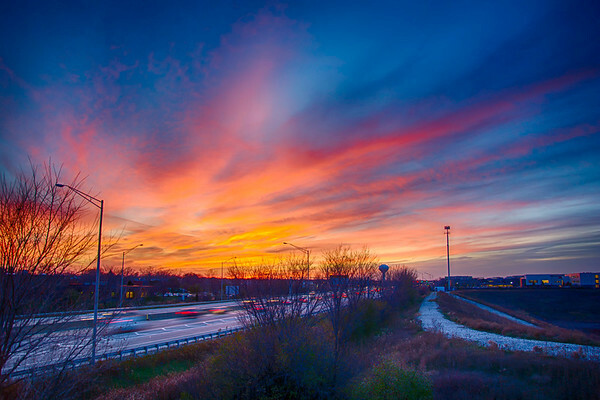 Sunset 11-4-13 as the sun set over the tollway north of Chicago, IL. I enjoy shooting in HDR because it captures the range of a sunset much better than a single image. There was a little time lapse on some of the cars.